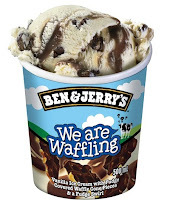 Yes, folks, March 25th is International Waffle Day. Observing this holiday means eating waffles for breakfast or waffling about decisions or issues. Or reading books in which characters do these things. Andrew Pyper: Lost Girls (2000). An astonishingly fun and thought-provoking read narrated by a cynical, cocaine-snorting, and Keats-spouting Bartholomew Crane of Toronto's criminal law firm Lyle, Gederow & Associate (better known as "Lie, Get 'Em Off & Associate"). Teacher Thom Tripp is accused of murdering two teenage girls, whose bodies haven't been found, and Crane travels to the decrepit North Country town of Murdoch to take on his defense. There, Crane's usual disregard of the truth and own little-remembered past get a workout as he investigates his client's bizarre story of the girls' disappearance at Lake St. Christopher. This literary legal mystery/psychological suspense/thriller is Canadian lawyer Pyper's debut novel. It has a nice touch of the frightening supernatural and an entertainingly acerbic lawyer/sleuth. Lost Girls was a New York Times Notable Book and won the 2000 Edgar and Arthur Ellis Awards for Best First Novel. Peter Guttridge: City of Dreadful Night (2010). 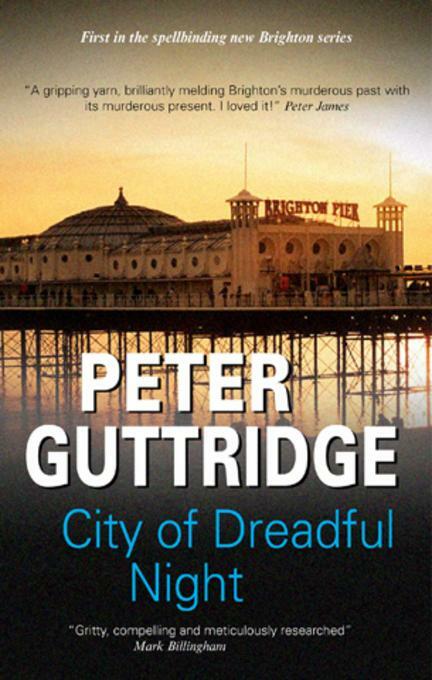 Whether you'll enjoy this complex and compelling book, the first in Guttridge's Brighton series, all depends. Can you handle a plot's coincidence and the ambiguity of a tale left dangling at the end? If you can, and you like gritty British police procedurals set in the present, but that take a look at an unsolved real-life crime in the past, this may be something for you. An armed police raid at a house in Brighton and Hove, a seaside resort in East Sussex, England, goes wrong, and four people are killed. Chief Constable Robert Watts is forced to resign, and his marriage ends when his affair with DS Sarah Gilchrist, who participated in the raid, becomes known. Despite his superiors' warnings to back off, Watts digs into the web of political and criminal relationships behind the botched raid and the deaths in its aftermath. Meanwhile, a diary related to an unclosed 1934 case, in which parts of a woman's body were discovered in trunks left at Brighton railroad stations, surfaces and may involve Watts's father, a former cop, and the father of Watts's old friend and government fixer, William Simpson. Helping Watts investigate are DS Gilchrist; a young reporter named Kate Simpson, who is William Simpson's daughter; and James Tingley, Watts's old MI5 friend. I'm looking forward to seeing these characters again in the next series book, 2011's The Last King of Brighton. Rex Stout: Too Many Women (1947). 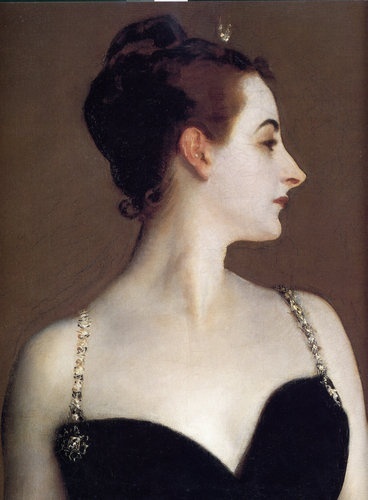 Private eye extraordinaire Nero Wolfe considers Archie Goodwin an expert on young women. So when the president of Naylor-Kerr, Inc. asks Wolfe to investigate rumors about Wally Moore's hit-and-run death that are distracting his employees, Wolfe sends Archie to work undercover as an efficiency expert in the engineering firm's warehouse, which is full of beautiful young women. Although Archie goes through these obstructive women like a dolphin goes through waves, Wolfe doesn't decide to close the investigation before several more people die. It's an enjoyable mystery, as well as an interesting look at women in the post-WWII workforce. Stout's Nero Wolfe books form an utterly charming traditional series, a slice of Americana set from its beginning in 1934 with Fer-de-Lance, to its conclusion, A Family Affair, in 1975. (An omnibus of earlier novellas, Death Times Three, was published in 1985.) Its main characters––Nero Wolfe, a gourmet food-, books-, and orchids-loving brainiac of a detective who refuses to leave his Manhattan brownstone on business, and Archie Goodwin, his competent right-hand man of action––are supported by a great cast of regulars who include Wolfe's household help, several New York City cops, a band of self-employed detectives hired by Wolfe, the doctor next door, and Archie's lovely inamorata, Lily Rowan. Stout supposedly published his first drafts, and the writing has a casual elegance and spontaneity that's fun to read. Philipp Meyer: American Rust (2009). Sister Mary Murderous had no sooner reminded me of this book when I saw Meyer's The Son appear on Publishers Weekly's list of most anticipated books for Spring 2013. I'm not waffling when I say this: American Rust is wonderful. It's set in the same economically devastated Pennsylvania country as K. C. Constantine's first-rate Mario Balzic series (see Maltese Condor's review of Constantine's The Man Who Liked Slow Tomatoes here). Buell's steel mill is shuttered, and many people have moved away. Isaac English and his older sister, Lee, were the smartest kids in their high school. When Lee goes to Yale, Isaac is left to take care of their disabled father. Now Lee is married and gone for good, and Isaac is desperate to leave Buell for his dream of studying astrophysics in California. Early one morning, Isaac packs his books into a backpack, robs his father's desk of $4,000, and walks to the house of his best friend Billy Poe. Billy is a none-too-smart, hot-tempered ex-high school football star on probation for assault. The two set out on foot. A chance meeting with transients in an abandoned factory where Isaac and Billy take shelter from a snowstorm leaves a man dead and Isaac's dream in pieces. Meyer has been compared to John Steinbeck, Cormac McCarthy, and William Faulkner. American Rust is about the unraveling of the American Dream. With beautiful prose, Meyer examines the price of loyalty and the constrained choices suffered by the working class. The book's characters––especially Isaac; Billy's self-sacrificing mother Grace, who earns minimum wage sewing wedding dresses for the wealthy and has her own dreams of returning to college; and Grace's lover, the sheriff––are three-dimensional enough to break your heart. Lachlan Smith: Bear Is Broken (2013, Mysterious Press/Grove). Leo Maxwell has just received notice that he passed the California bar exam. He hopes the days of being called "Monkey Boy" by his 12-years-older brother, Teddy, are now a thing of the past. Teddy hasn't even congratulated Leo when they walk into a San Francisco restaurant to have lunch before closing arguments in one of Teddy's trial cases. Teddy is a highly successful criminal defense attorney, beloved by San Francisco's criminal class, but reviled by its cops and prosecutors, who insist that his success must be based on bribes and perjury. Leo and Teddy are waiting for their order when someone walks up behind Leo, shoots Teddy in the head, and disappears into a waiting car. While Teddy lies in a coma, Leo tries to understand his enigmatic brother, who was responsible for him after their mother died when Leo was 10 years old. Just how much of a rogue is Teddy? Leo now deals with Teddy's ex-wife, investigator, and clients. He also decides he can't trust the cops to adequately pursue the attempted murderer, so he will investigate himself. Leo opens Pandora's box. Like Canadian writer Andrew Pyper, Lachlan Smith is a lawyer, and following his legal sleuth in the courtroom and in his sleuthing is enlightening as well as entertaining. Bear Is Broken is much less literary than Pyper's Lost Girls, and Leo is much less cynical than Pyper's Barth Crane, but both books involve a young lawyer's coming of age and evoke a tragic past. In this debut novel, Smith writes with unusual clarity and assurance as Leo shuffles a deck of likely suspects and plays a game of Solitaire. Smith slows the denouement a bit with a few too many details, but this by no means spoils the book's worth. I really liked it for its close and compassionate look at the tragic consequences of crime and at a San Francisco attorney who learns about himself and the nature of family loyalties. I'm happy that this is the first book of a proposed series. 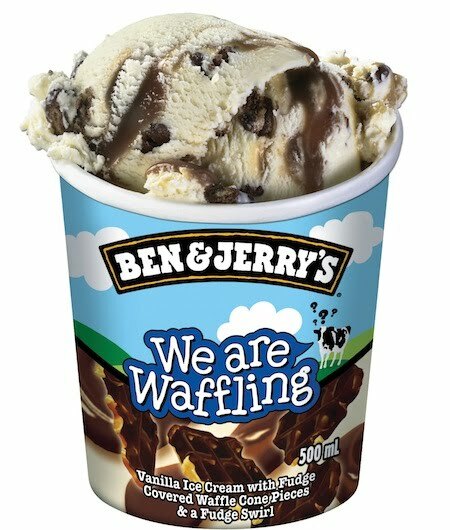 On this important day, when we honor waffles and waffling, especially in crime fiction, be sure to get your fill of both. You may need to decline a second serving of breakfast, but there's nothing to stop you from being a glutton in your reading.